It should come as no shock Zoe Falardeau has emerged as a star baseball player. 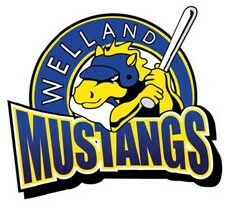 The 11-year-old Welland native grew up around the game with her father, Jay Falardeau, a well-known local coach and senior player, while older brother Kaden is also a standout on the diamond. 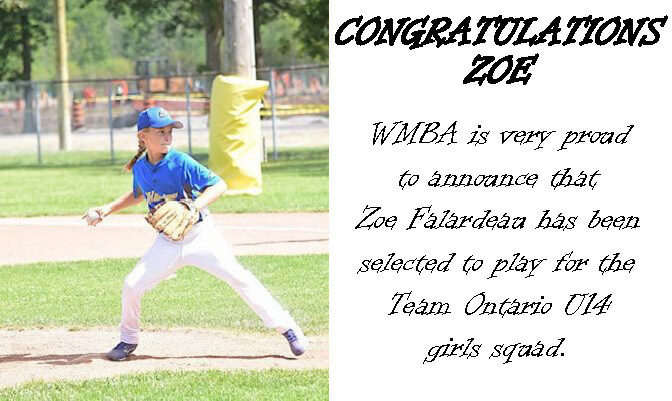 Now Zoe is carving out a name of her own after being named to the U14 Ontario Baseball Association girls squad despite being two years younger than most of the 40 players who tried out for the team over two weekends in Aurora. “We really didn’t know what to expect bringing her there because she’s basically a 12-year-old (she turns 12 in July) going up against 14-year-olds,” Jay Falardeau said. “We’re very proud of her and the willingness to go and tryout and put herself out there. “She went in and played the way she could. Over the two tryouts, she didn’t fumble any balls on the infield and showed really well. She did as well as she could and really deserved it”. Zoe Falardeau, who was the lone local to make the final cut, said she had no clue how she would fare. The good news was delivered recently via e-mail. Zoe Falardeau remembers the moment fondly. “I was sitting on the computer waiting. I went show my mom and then we went for supper,” she said. Zoe Falardeau, who pitches and plays second base, is a Grade 6 student at Ecole Nouvel Horizon in Welland. She also plays for her father with the Welland Mustangs minor peewee boys team and skates for the Stoney Creek Sabres travel hockey team. This year is the first year for the U14 girls program in Ontario. The team’s first tournament is in Brantford over the long weekend in May versus rep boys teams. The squad has also been invited by Baseball Quebec to play exhibition games versus their U14 provincial teams as part of an event involving the National Women’s team program coaches in a talent identification initiative. In August, the team will be participating in the U14 WCBA (Western Canada Baseball Association) in Saskatoon against teams from across Canada.